Dan Meyer is vice president with Hunt Consolidated Energy and an officer with Hunt Energy Enterprises. He works with multiple Hunt operating companies and is focused on business development, strategy, and talent management. 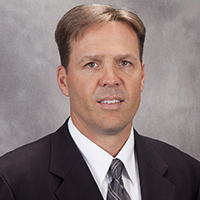 He has more than 25 years of experience in general management, private equity, and executive recruiting. Prior to joining Hunt, Meyer spent twelve years as a partner with Sevin Rosen Funds and Austin Ventures, where he led the respective firms' efforts in business development and talent management. He was responsible for identifying investment opportunities, overseeing the growth of those companies, and managing their investments to a successful exit. Meyer has been closely involved with successful start-ups including Splunk, Xensource, Genband, Wayport, Tango Networks, Fuego, Navini Networks, Spatial Wireless, Home Away, InfraREIT and others. Meyer is an active community volunteer and serves on the boards of multiple organizations, both non-profit and for profit. He graduated from Illinois State University with honors, earning Bachelor of Science degrees in both finance and business administration.